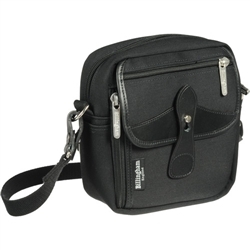 Carry your compact camera in style with the black Billingham Stowaway Pola Shoulder Bag. 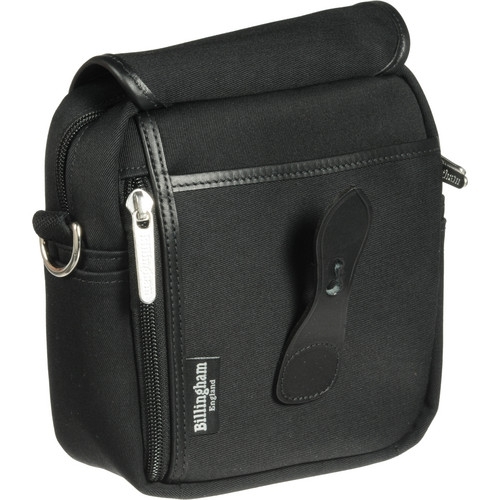 This canvas travel bag features leather accents and nickel hardware, and is for a compact camera and accessories such as a passport, keys, and other travel items. 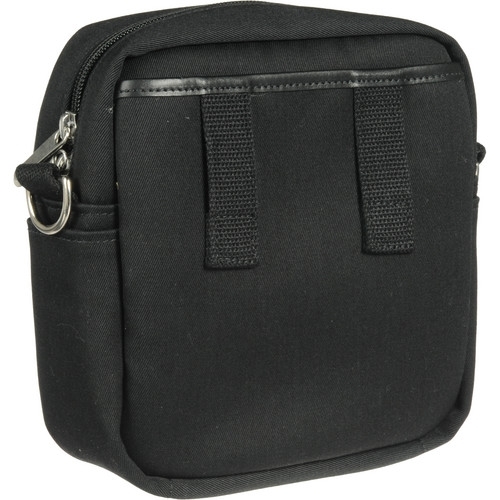 It has a padded main compartment, a zipped front flap pocket, zipped side pocket, and front and rear slip pockets. It can be carried using a removable adjustable shoulder strap, or on a belt using the attached loops.